Nigel Richards Driving School have been established in Wrexham since 1994. The driving school is now one of the premier suppliers of driving lessons throughout the county of Wrexham. We have male & female instructors, offer refresher and familiarisation lessons, we can provide driving lessons in Welsh and also provide driving instructor training. 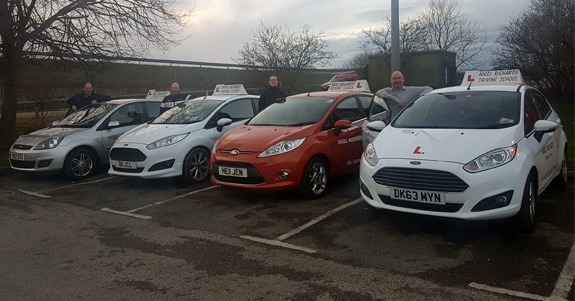 Our fully structured driving lessons in Wrexham ,developed over 25 years assure every point is covered before presenting you for the driving test. With the best chance of passing first time. Originally formed in Wrexham our excellent reputation has increased demand for our services. 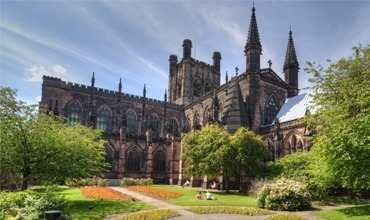 Resulting in us expanding to cover the areas of Chester, Oswestry, Mold & Whitchurch. Unlike national driving instructor agencies, Nigel Richards Driving School is an established local business (since 1994) operating on your doorstep. With over 23 years of experience, Nigel Richards offers the very best in 1-to-1 tuition for aspiring driving instructors. Your path to a more independent life! Never have to fill in another "Holiday application form"! Want to see if your suited to be an instructor? Call now to enquire about our 1:1 2 hour "taster session"